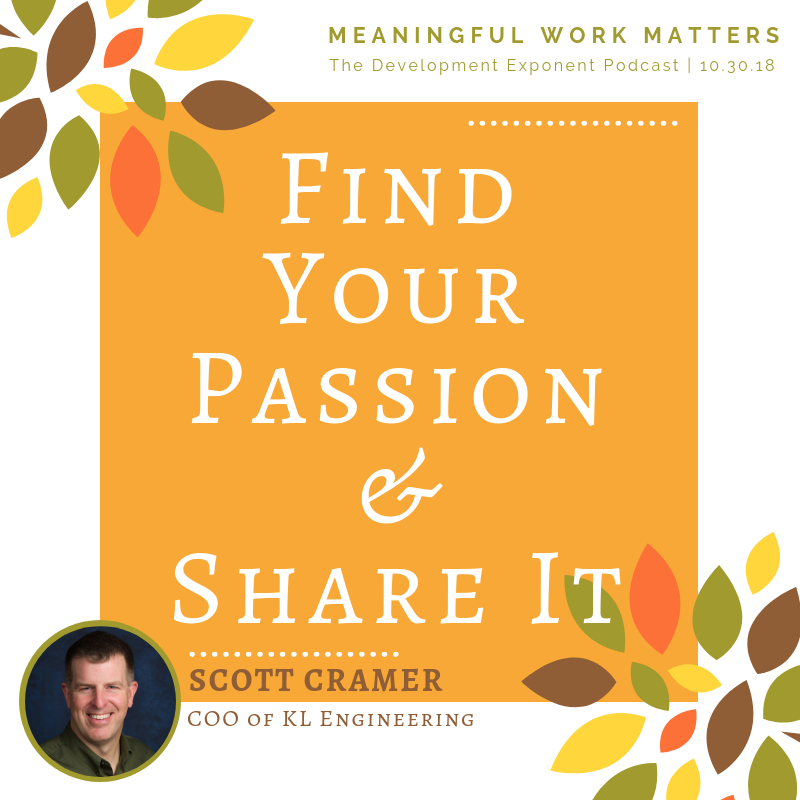 Scott Cramer, KL’s COO, encouraged leaders to ask questions and share your passion on a recent podcast about finding meaning in your work. “Ask staff ‘How did you come up with that?’ or ‘Where did you learn that?’ It gives you a chance to see what is involved in their critical reasoning and research process. This provides insight into people’s personalities and opportunities for development.” Asking staff ‘How can I help?’ builds trust, cooperation, and teamwork. He reminded us that “we’re all good at something – and it’s our obligation to share that with others… especially with young people.” If you bring your passion to everything you do, you’ll find yourself having full days… instead of just busy ones. This entry was posted in News, People and tagged KL Engineering, Leadership, Scott Cramer, The Development Exponent. Brad Halvensleben, PE – 20 Years at KL!